I created a new type of landscape photography with “the land’s memory” as a theme by printing onto the body of insects photographs of the landscape that they used to live on. Darkroom (silver halide) printing was successfully done by photographs which are not tied to one media for printing (inkjet). While photographs were already independent of the media, the search for a new way to present them led to the current era of digital displays, altogether foregoing the physical aspect of photography. This artwork is also meant as an antithesis to this era. When people look at a landscape picture printed on paper, they mainly focus on the image. They do not pay attention to the paper itself. This is because the landscape and the paper are developed independently of each other, and the paper does not influence the landscape. While the image and the paper possess different memories, when people look at landscape photography, they mainly partake of the land’s memories. Therefore, I thought, if the media upon which the image is printed was itself related to the land, would that not make the memories which the viewer perceives even stronger? Insects, the medium I chose, have spent a long time reproducing in that particular land, gaining unique habits and shapes forged by that land’s specific climate. The landscape is formed by a variety of trees and mountains which, much in the same way, are also shaped by the climate. This made me realize that these two elements share the same memories. I collected insects and shot pictures of the landscape that they were collected in. 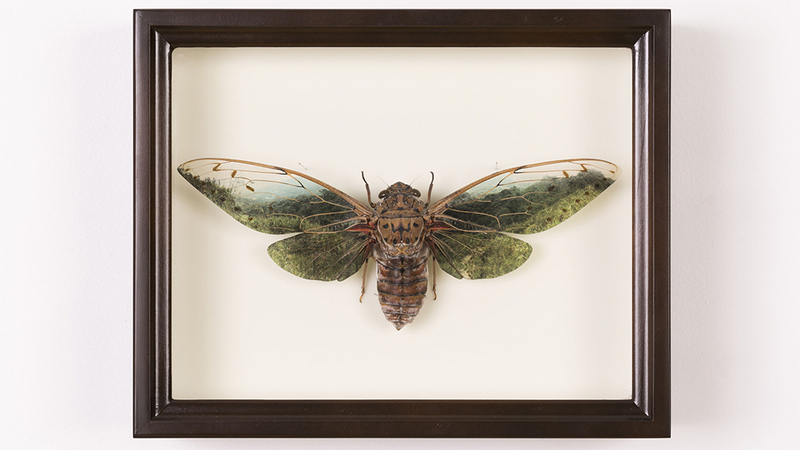 I mounted the insects and made adjustments to the landscape pictures with Photoshop. 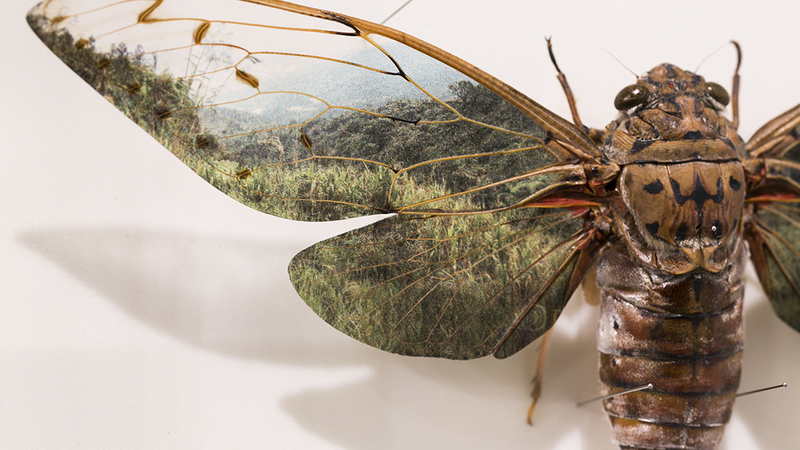 I temporarily removed the wings from the insects and using a UV printer, I used the wings as the media to print the pictures of the land that the insects were born and raised in. 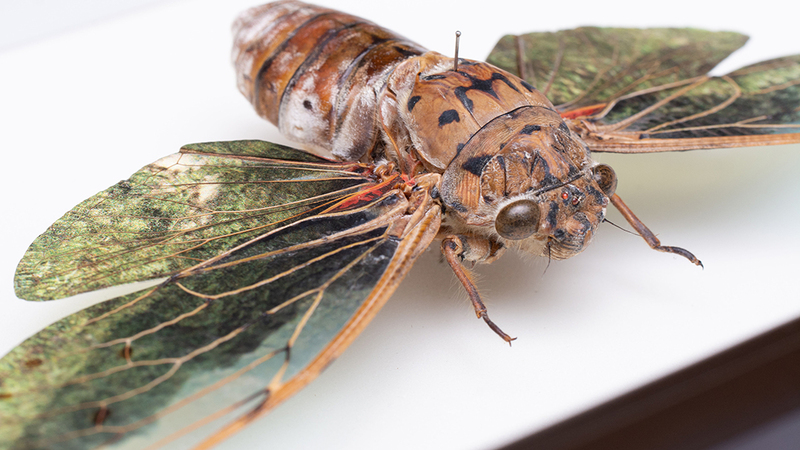 Insect Specimen, Specimen Box, UV Printing. 250 x 200 x 70 mm, 300g. The clunky title of the project aside, the beautiful simplicity of the idea belies the technical artistry and the human skills based on the hand and eye working in combination with simple tools that were necessary to realise this project. 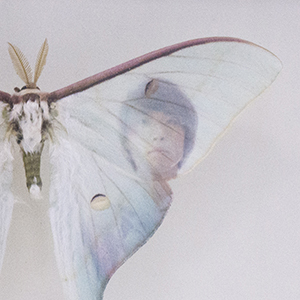 How else could one reunite these moths with their lost habitats? We sincerely congratulate the maker for his ambition to take the frailest and most challenging subject to make a statement about our relationship with the planet and all the landscapes we have lost.